Canopus - Endless Sacrifice MCD coming soon! 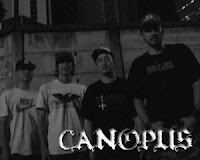 Endless Sacrifice MCD by Japanese edge metal band Canopus is coming soon on Retribution Records. Expect 6 furious songs in the vein of Arkangel, Sentence or Reprisal.